℗ 2014 Béla Fleck & Abigail Washburn. Under Exclusive License to Rounder Records, a division of Concord Music Group, Inc.
"... notable for its understated, welcoming calm. Fleck and Washburn explore roots music using the tones and coloration options that arise when two banjos join in conversation." 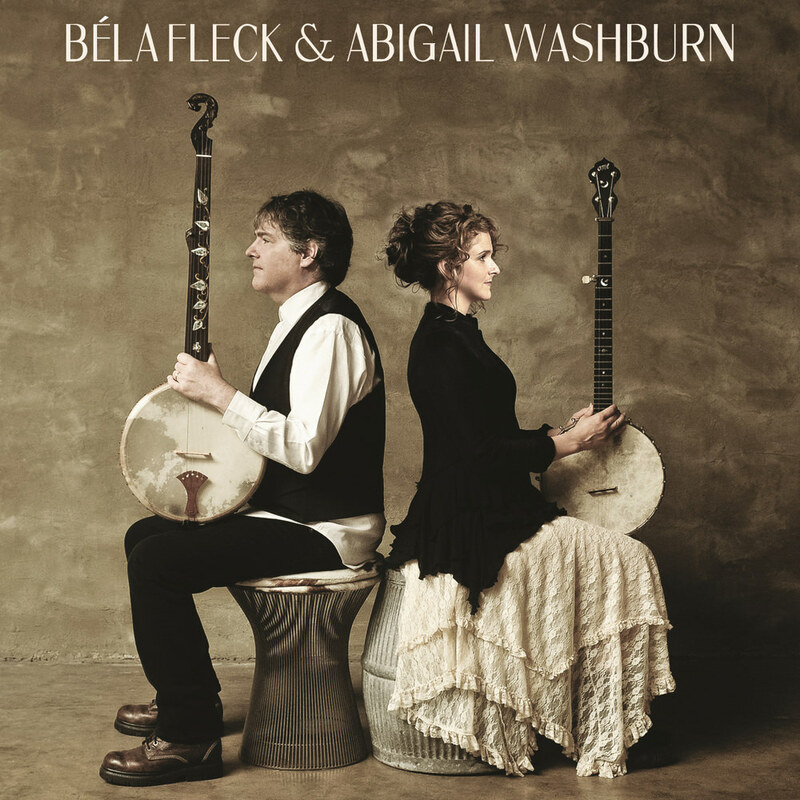 Béla Fleck & Abigail Washburn is an album of banjo duets by husband-and-wife team Fleck and Washburn, recording together here for the first time. The Grammy nominated album features original and traditional material that showcase Washburn's voice and their two different banjo styles playing various types of banjos such as cello, baritone and uke, along with their regular banjos.